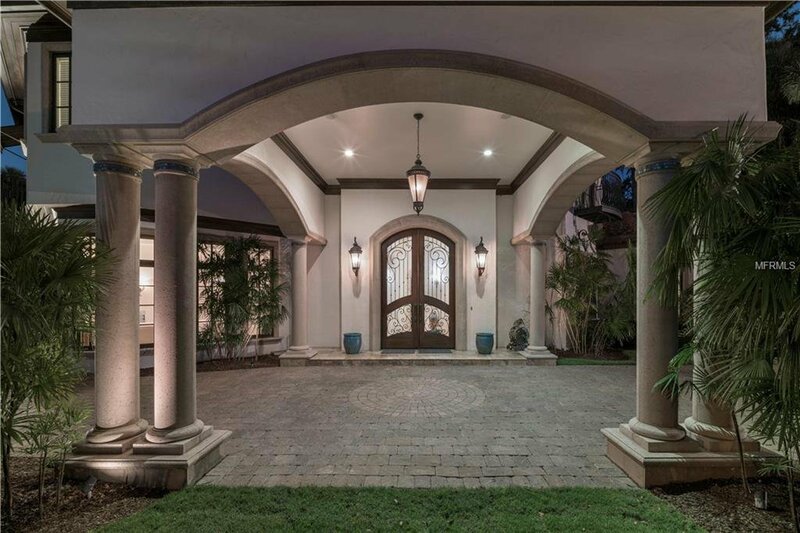 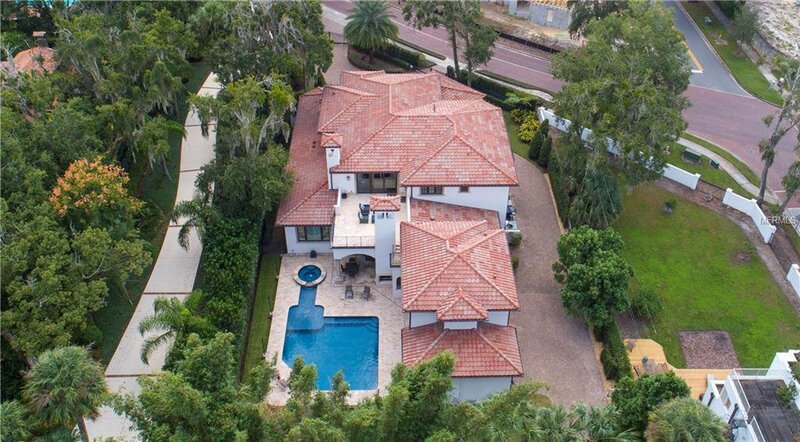 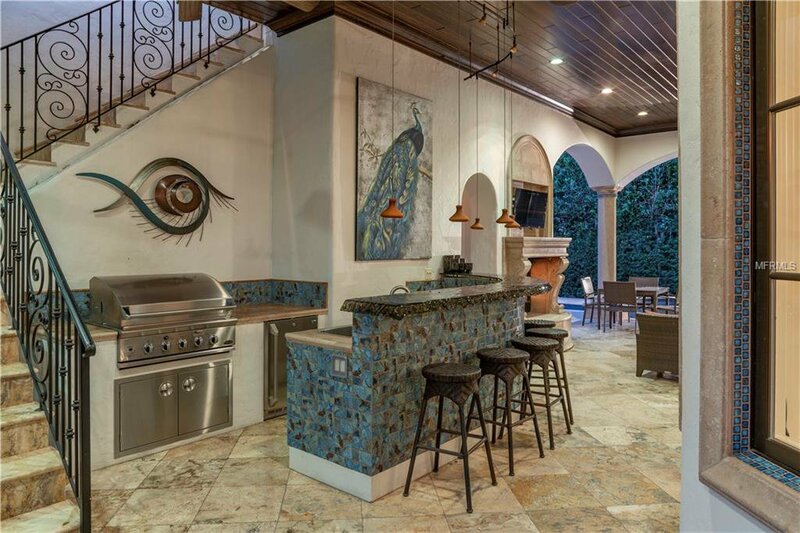 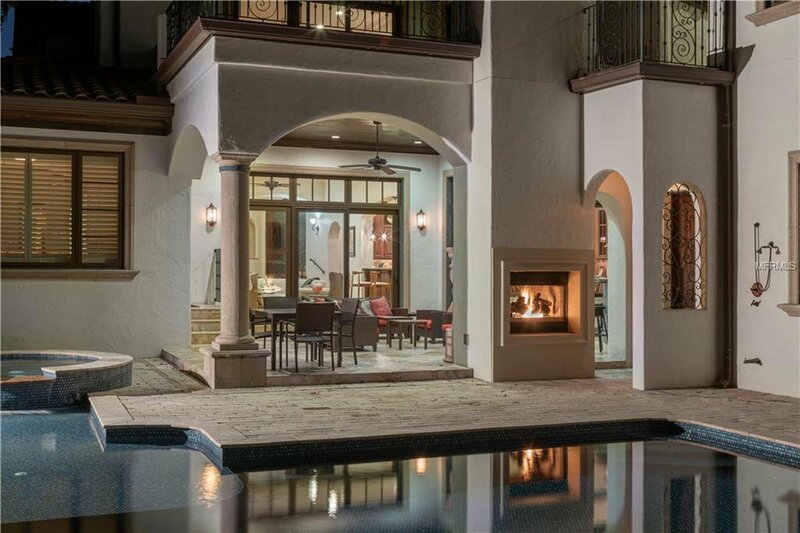 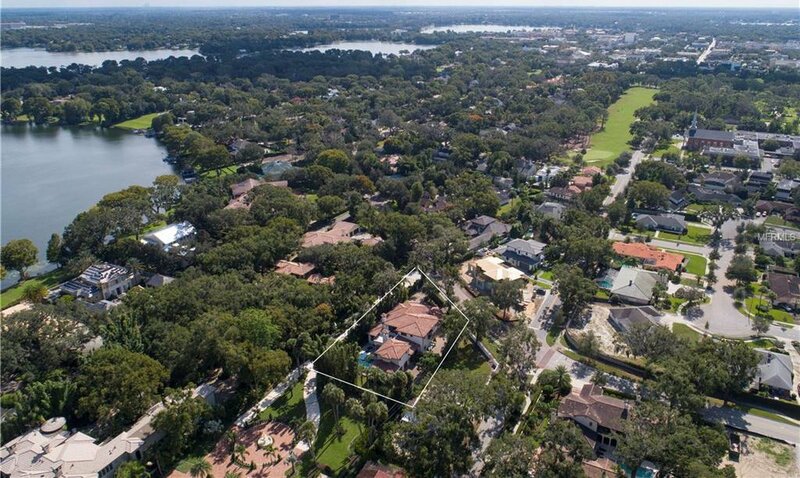 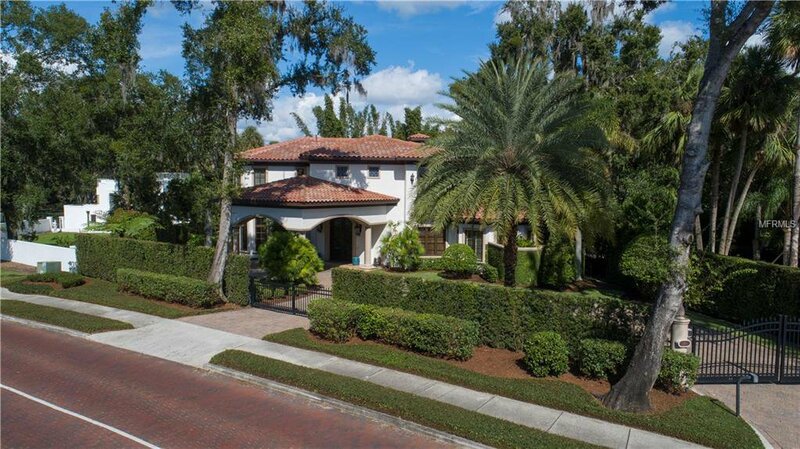 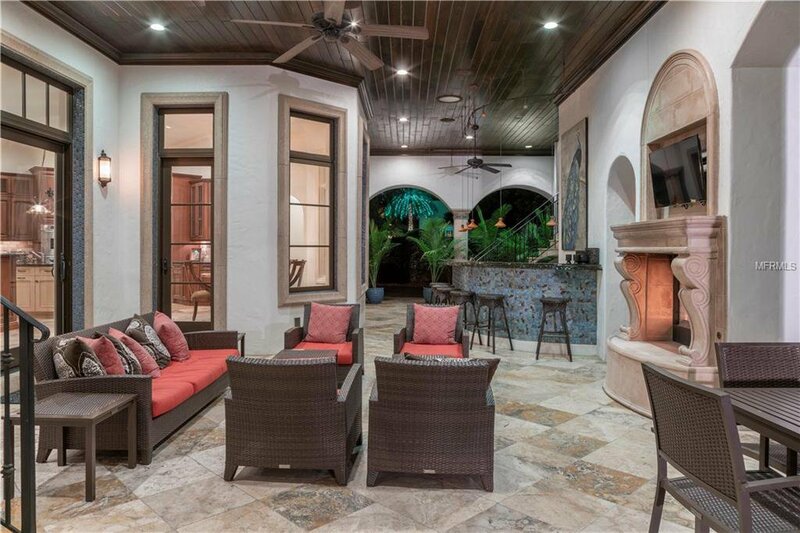 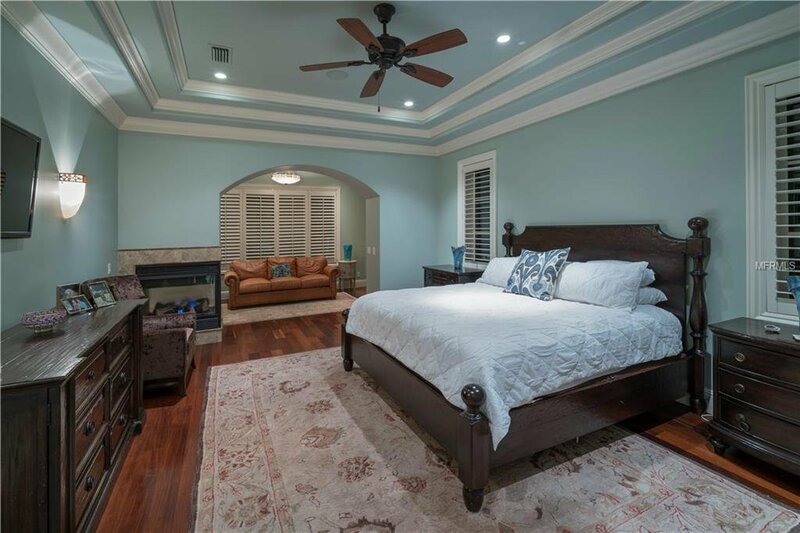 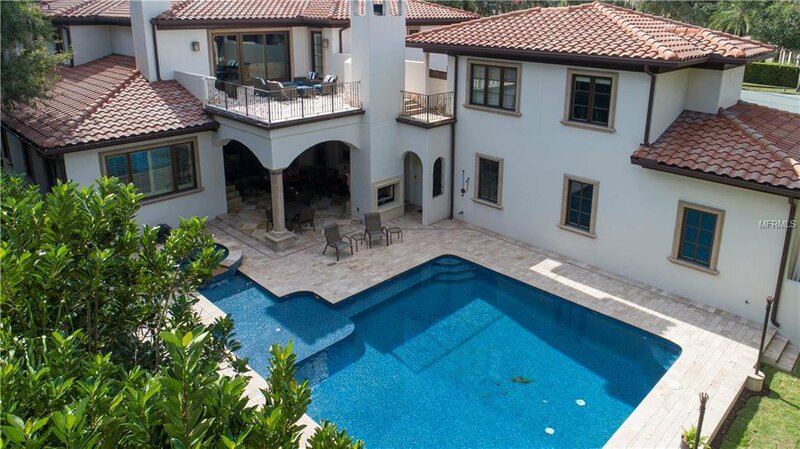 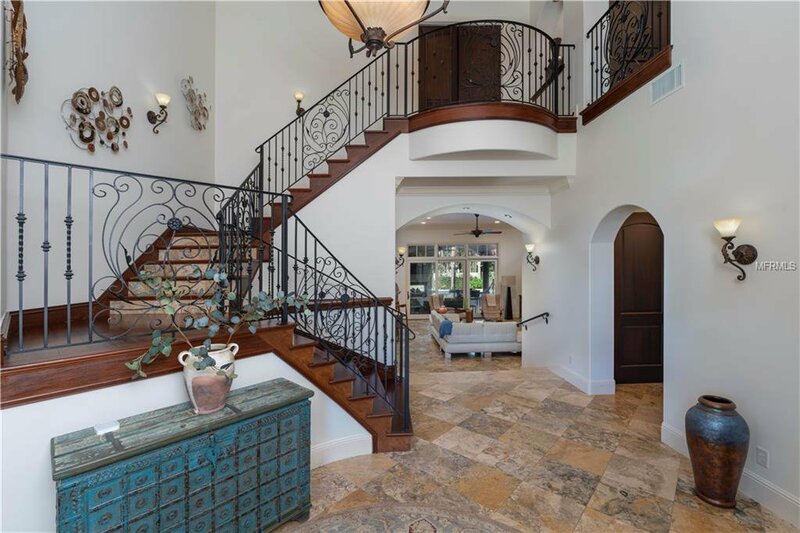 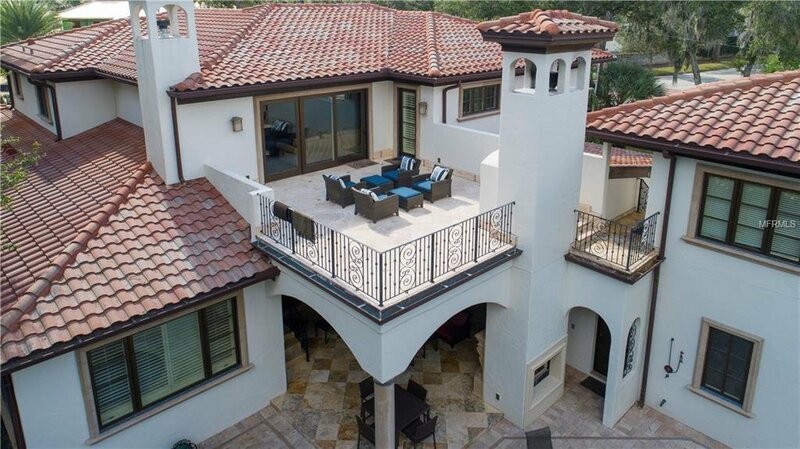 This is a breathtaking "gated" modern Mediterranean masterpiece on a premier street right through downtown Winter Park. 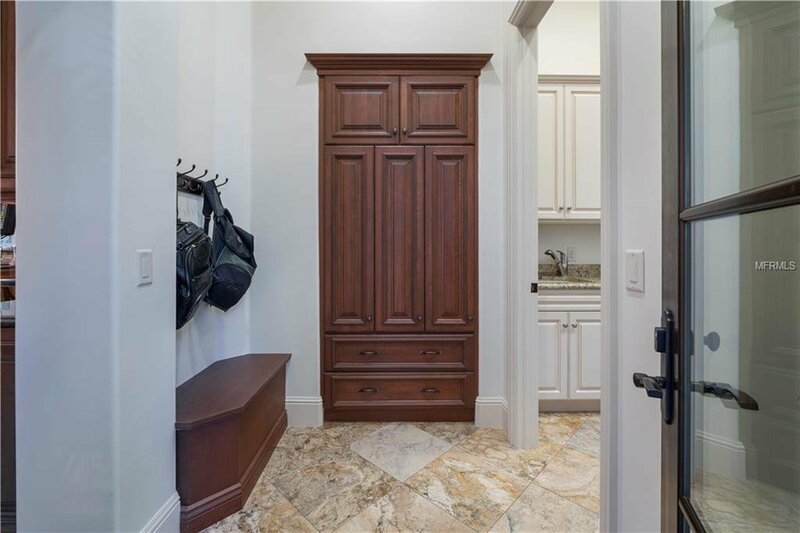 A short stroll along famed Park Avenue to all of the shops and dining, this exquisite home boasts only the finest finishes coupled with modern technology and a wonderful open floor plan. 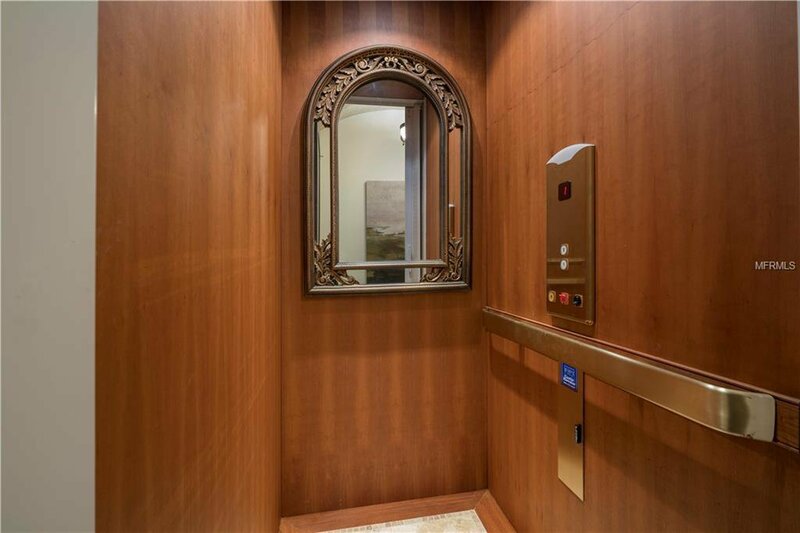 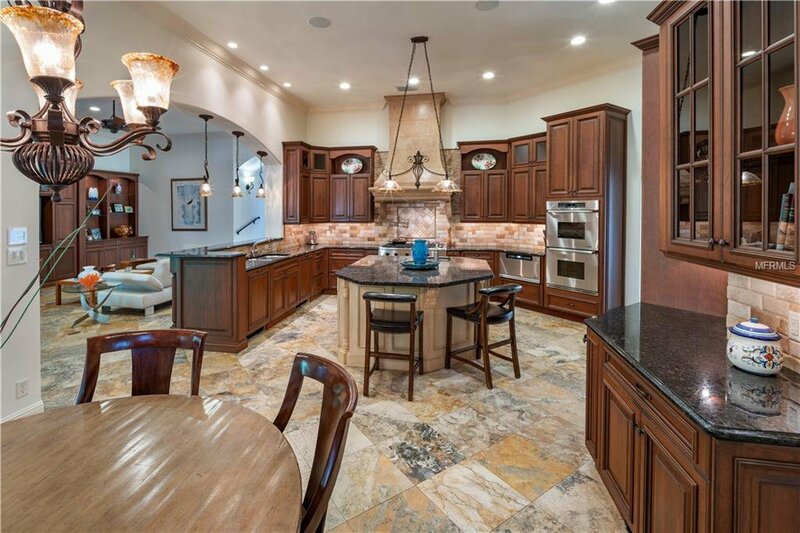 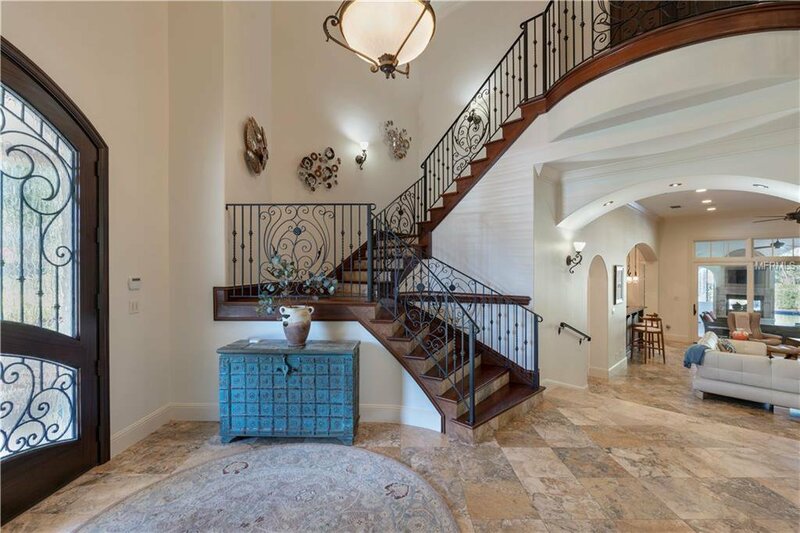 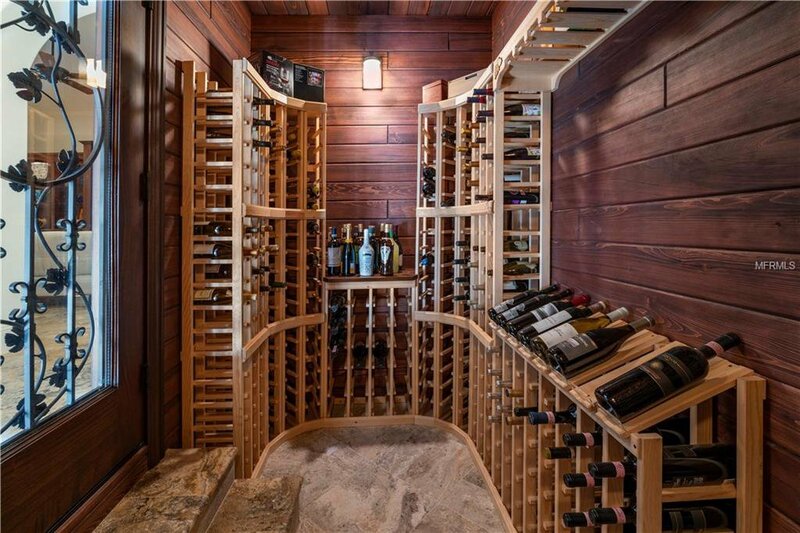 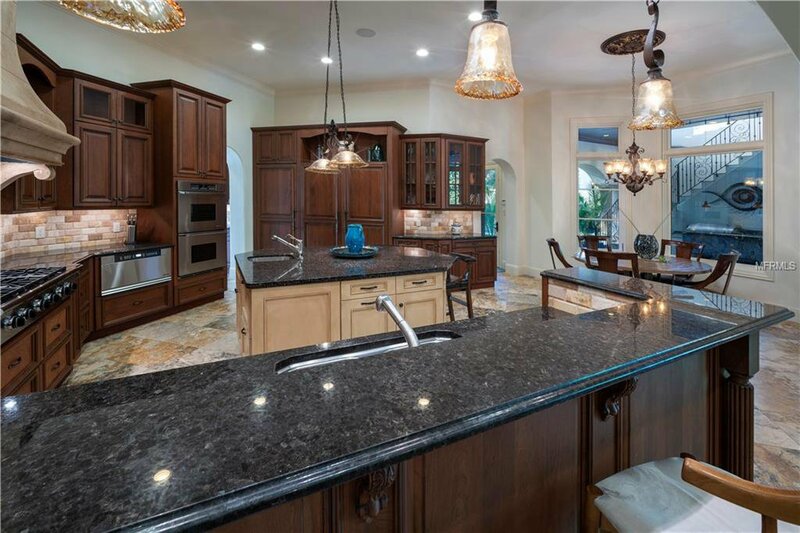 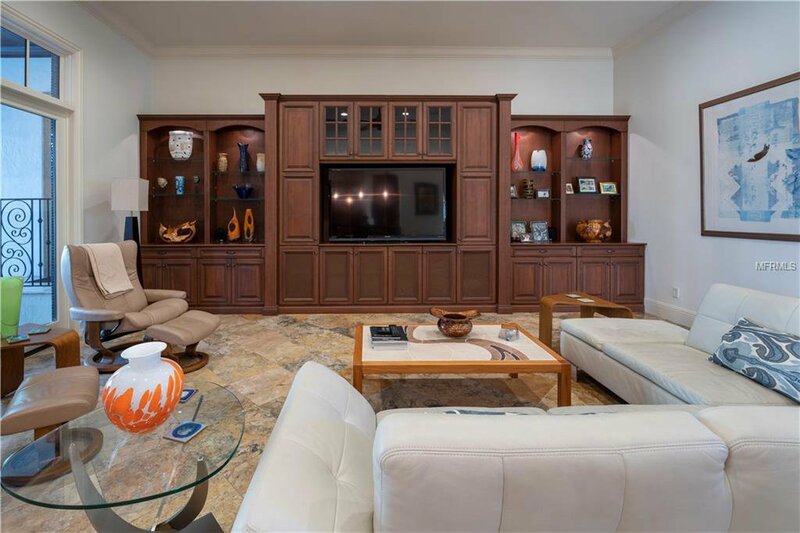 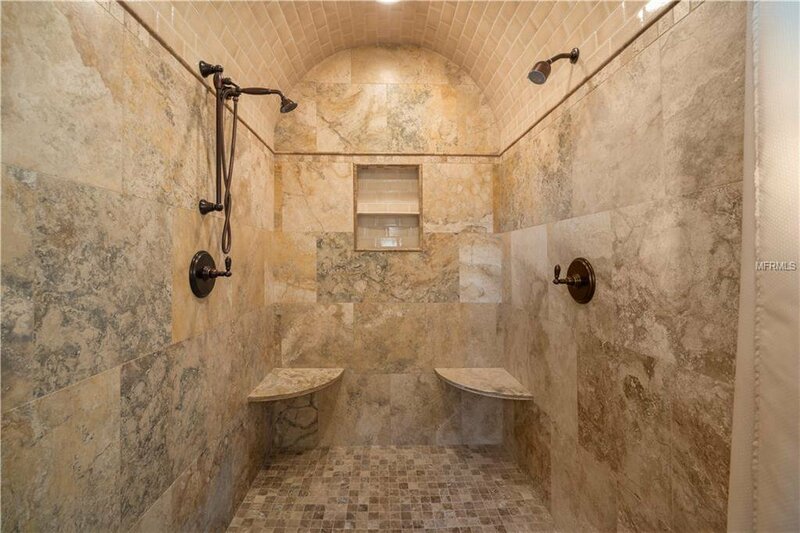 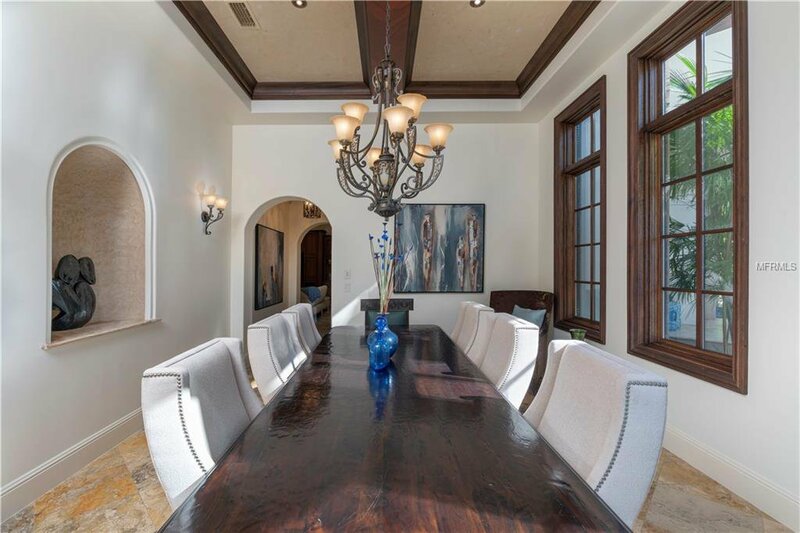 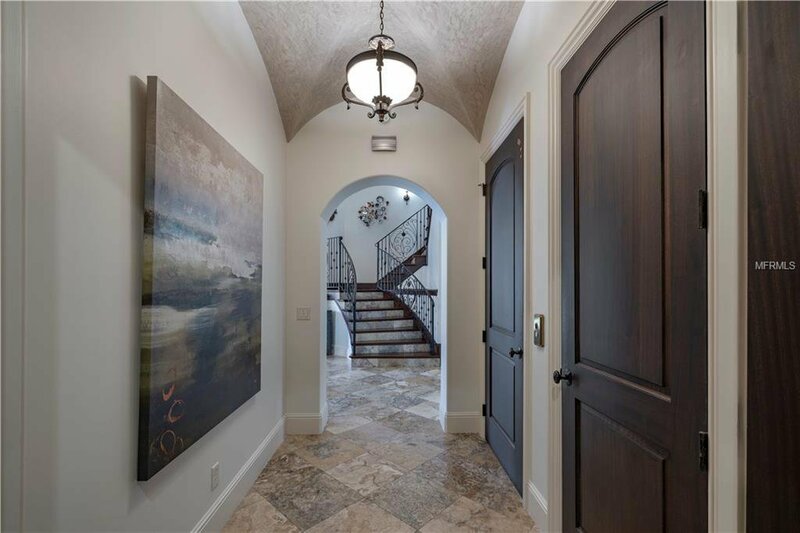 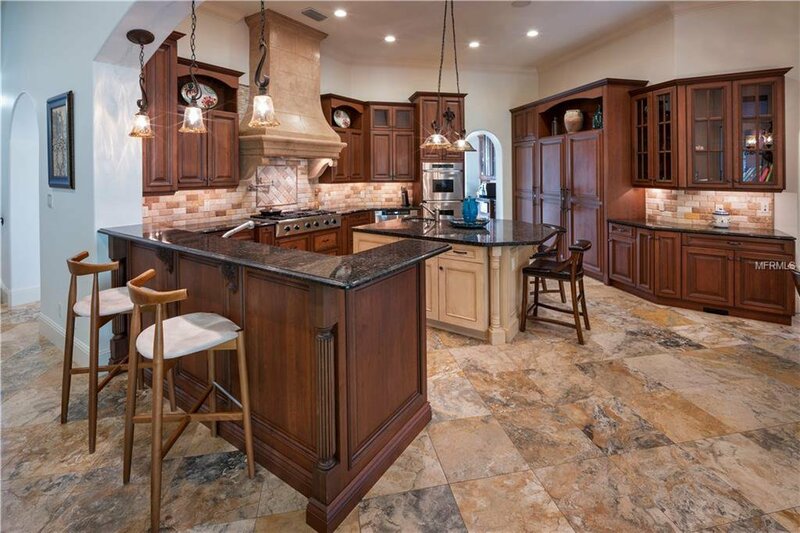 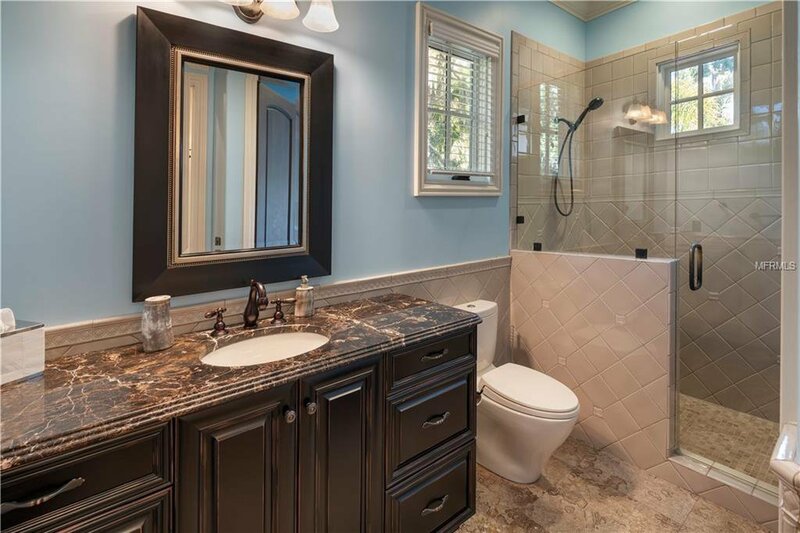 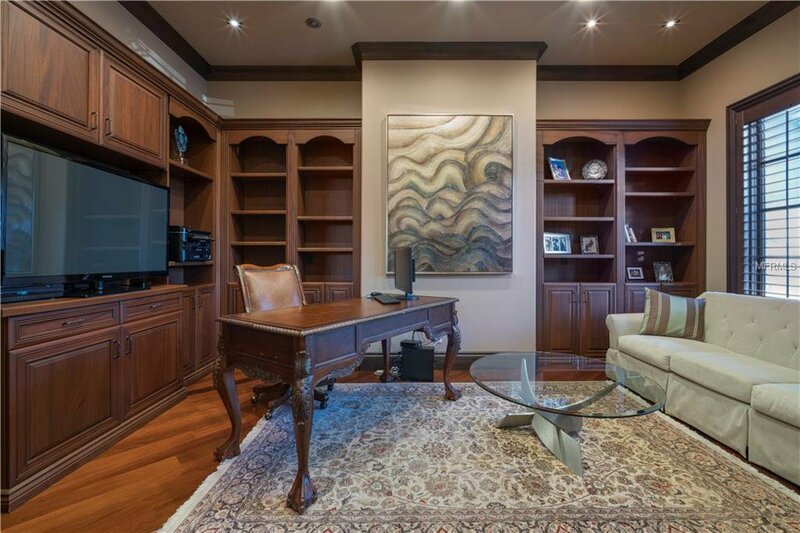 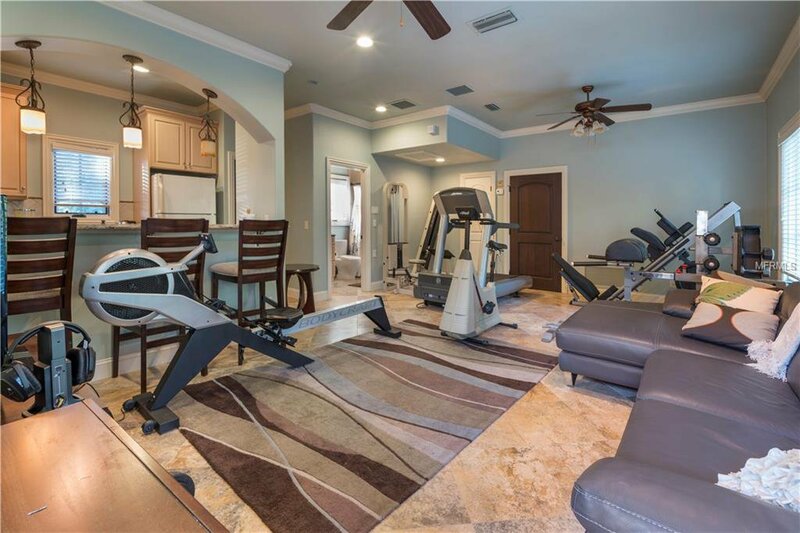 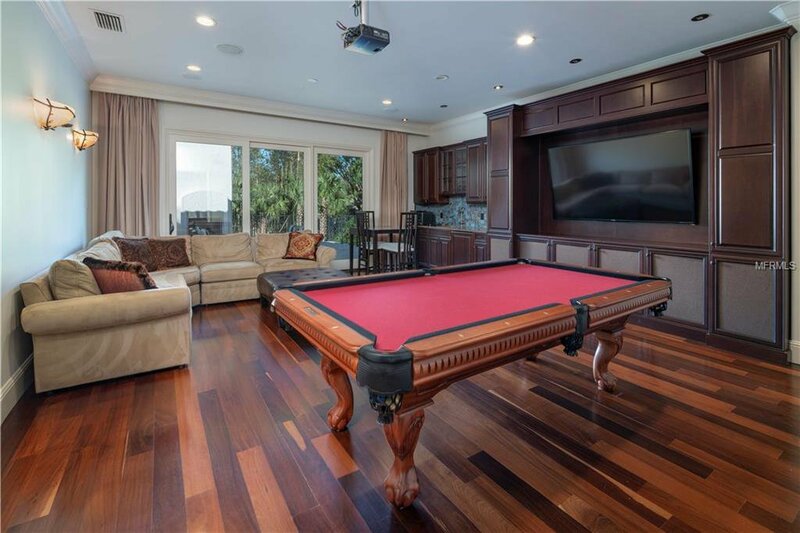 Brazilian walnut, exotic granites and marble, cherry and mahogany cabinets, built-ins, soaring ceilings and grand entry are just the starting points to the list of details. 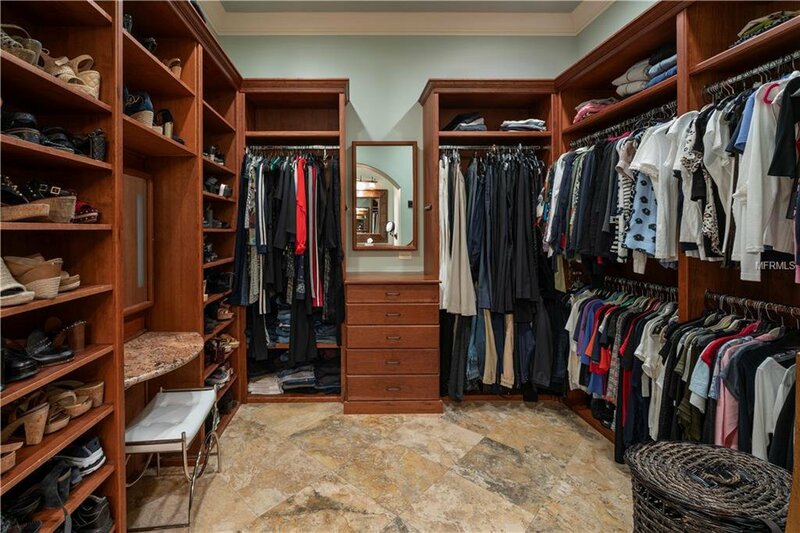 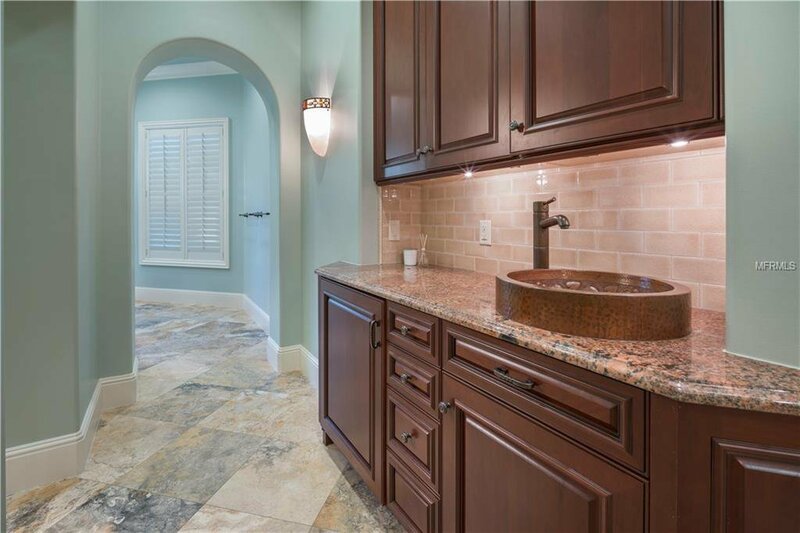 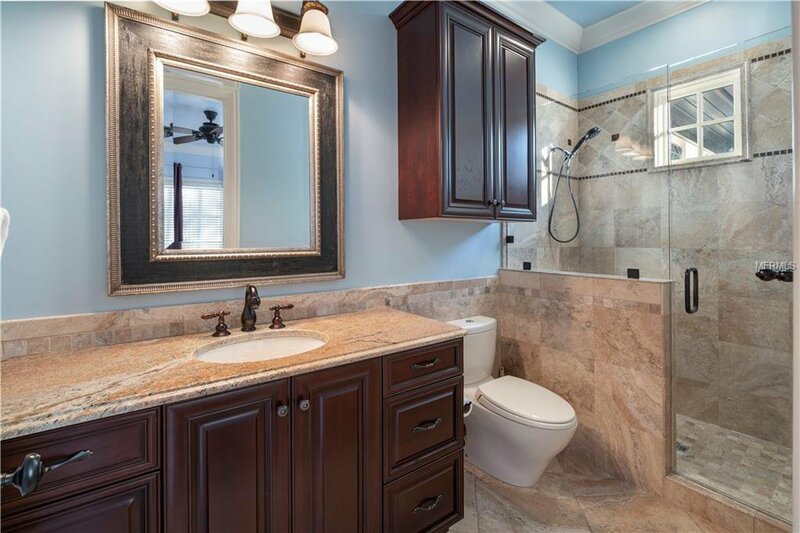 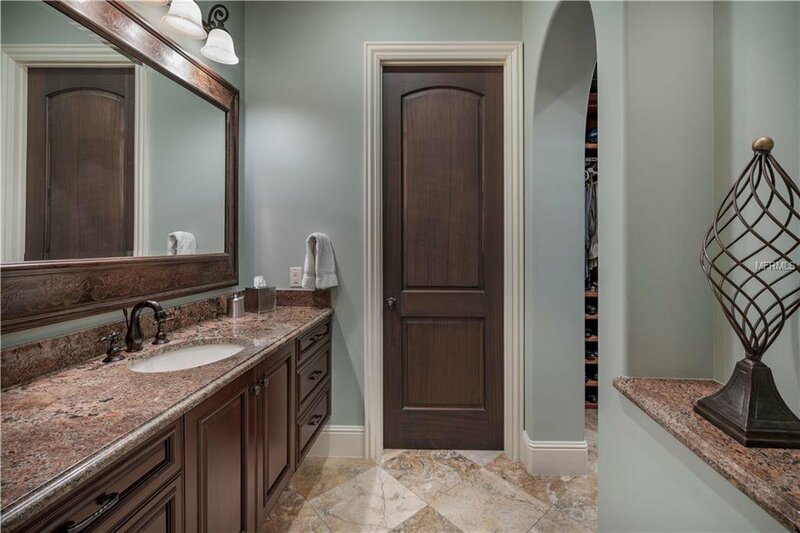 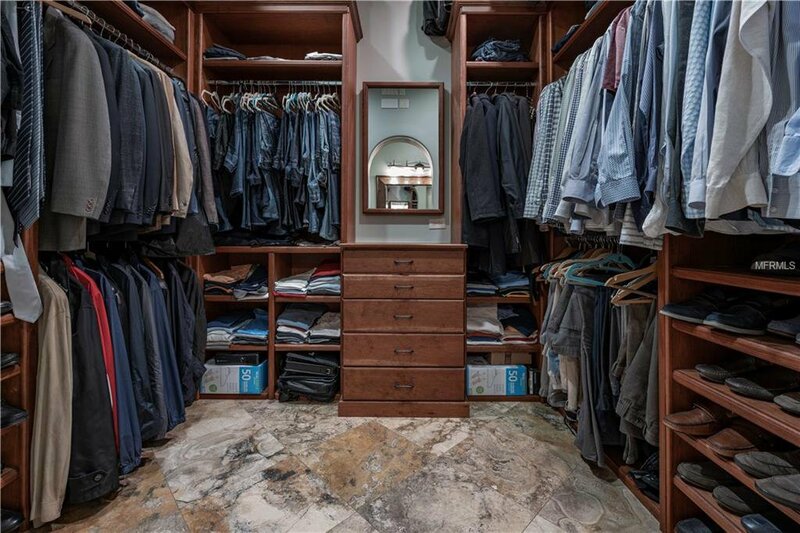 The master retreat has dual separate closets and baths. 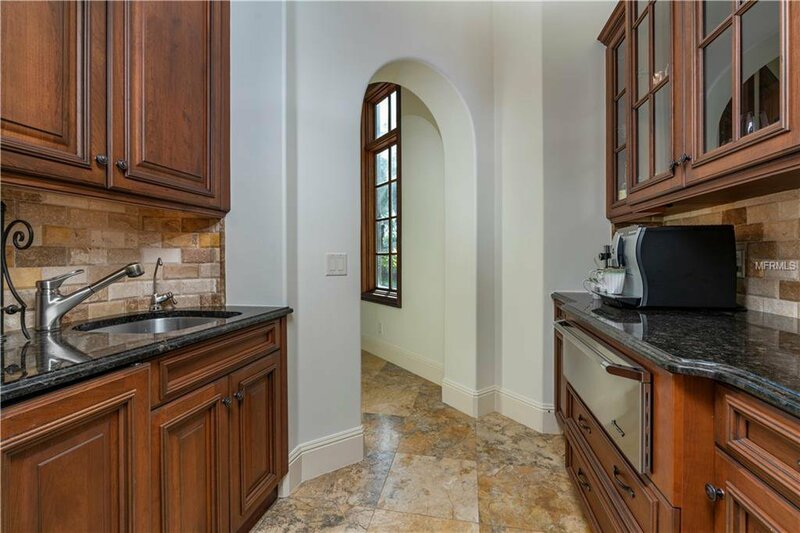 A breakfast bar and elegant library, along with a gracious formal dining room overlook Park Avenue, with temperature-controlled wine cellar and butler pantry leading to a very spacious chef's island kitchen. 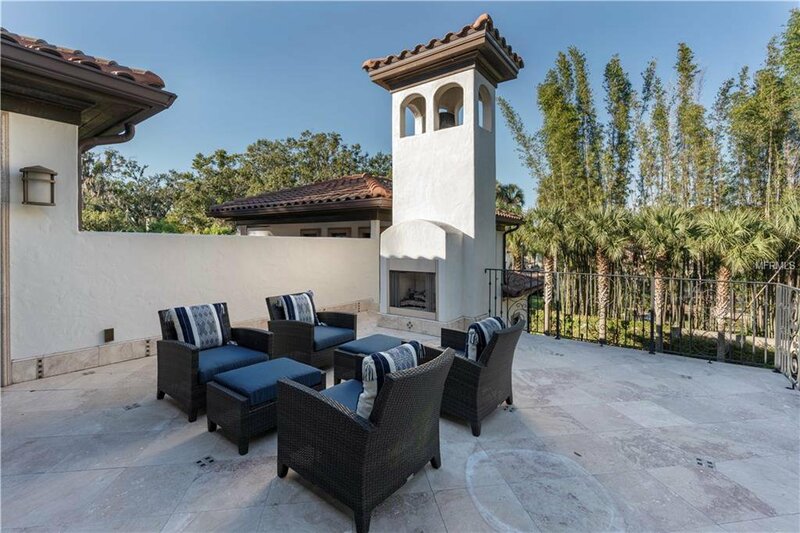 Access the second-floor media room and four en-suite bedrooms with elevator as well as a private rooftop terrace with fireplace. 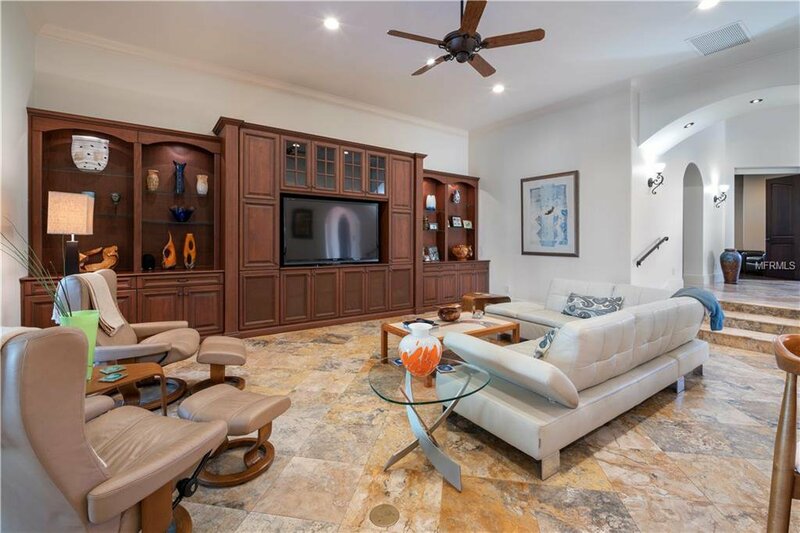 The Lutron lighting systems allow one touch lighting control for the home and smart entertainment system is perfect for music control. 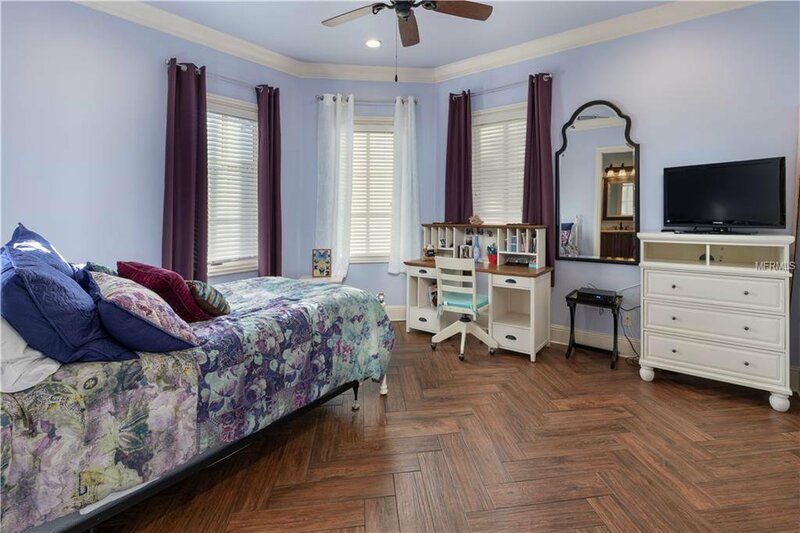 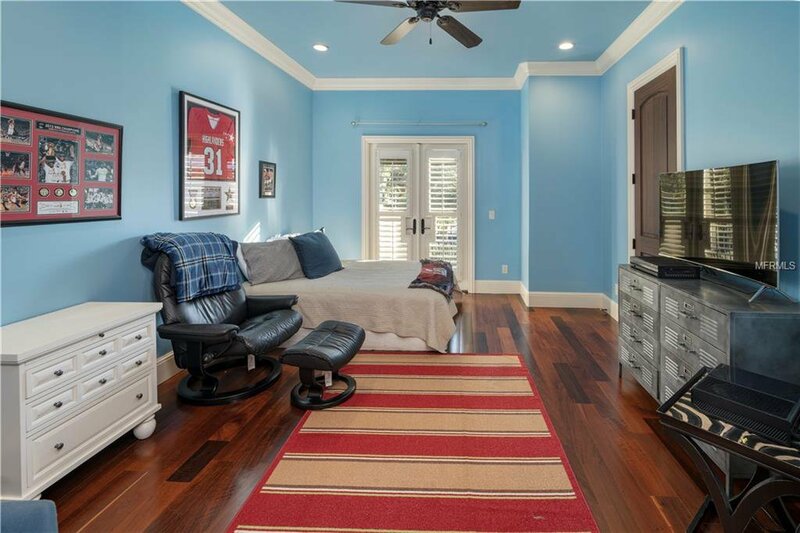 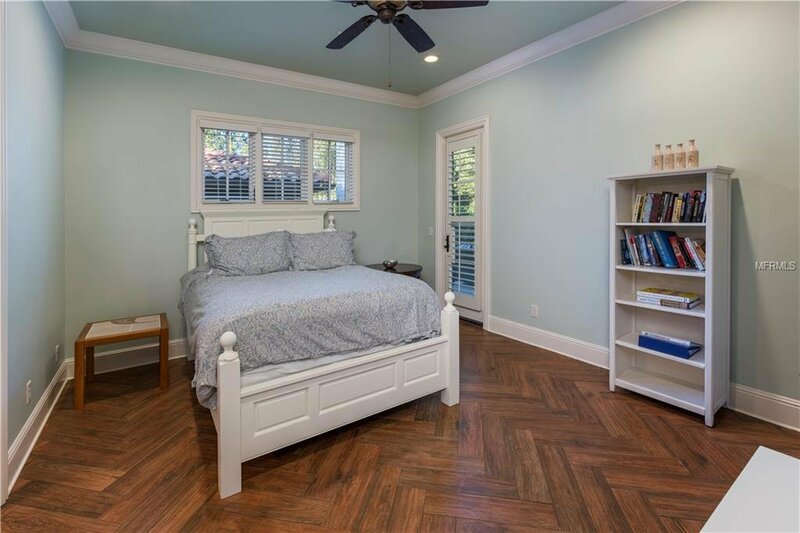 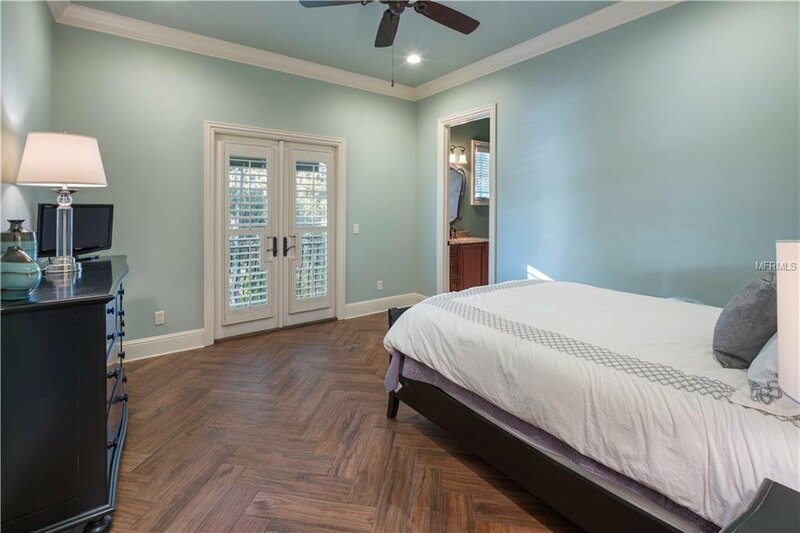 Over the three-car garage is a full private guest apartment with its own entrance, open living area, kitchen and bedroom with a catwalk that also attaches it to the main house second floor. 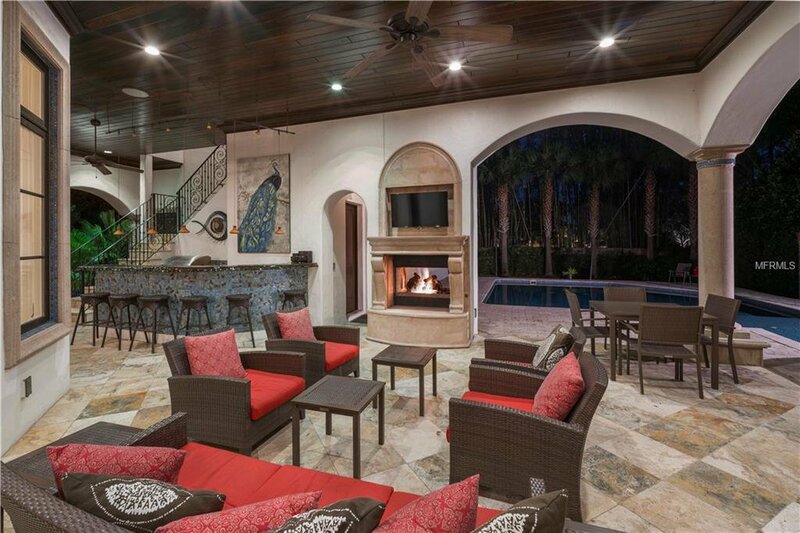 An outdoor living space with summer kitchen and fireplace leads to a luxurious pool and spa with ample "beach" area surrounded by private yard all walled in for complete privacy and security.